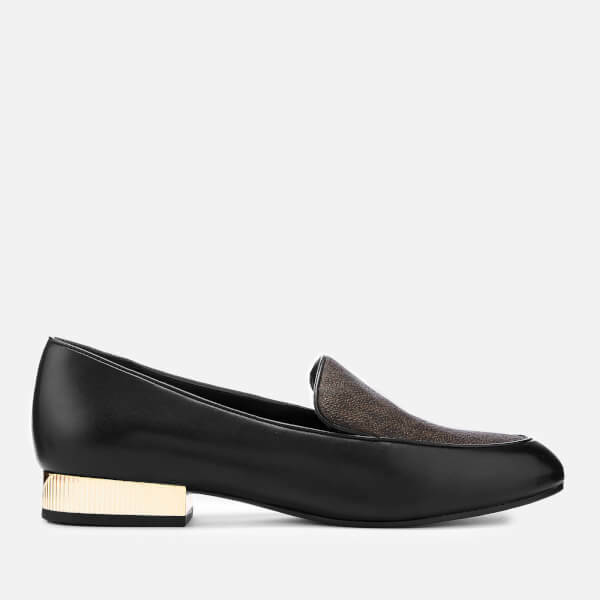 MICHAEL MICHAEL KORS ‘Valerie’ slip-on flats in soft black leather. 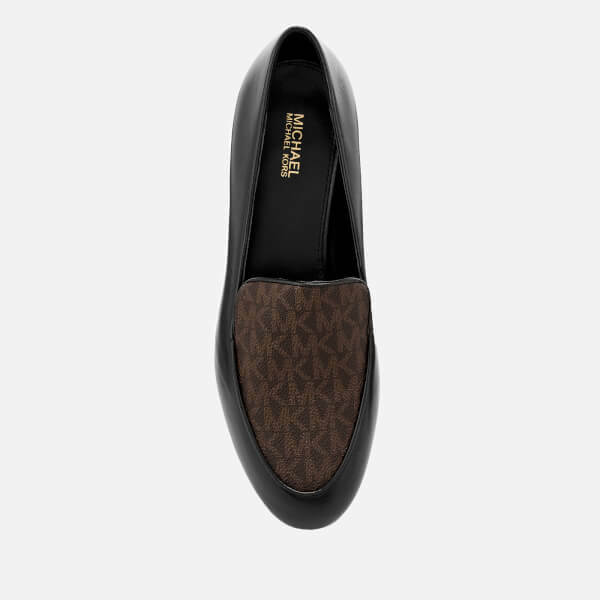 The slip-on loafers are designed with gold-tone ridged accents on the small heel, an almond toe and a contrasting brown ‘MK’ monogram print on the textured front. 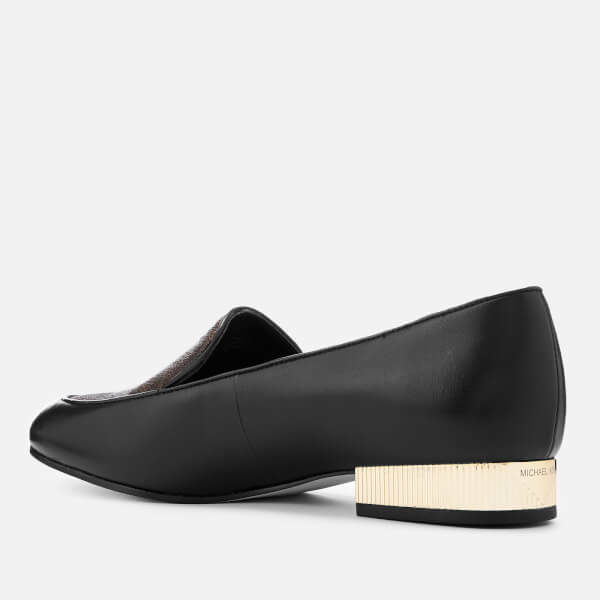 A rubber sole completes the slip-on shoes.